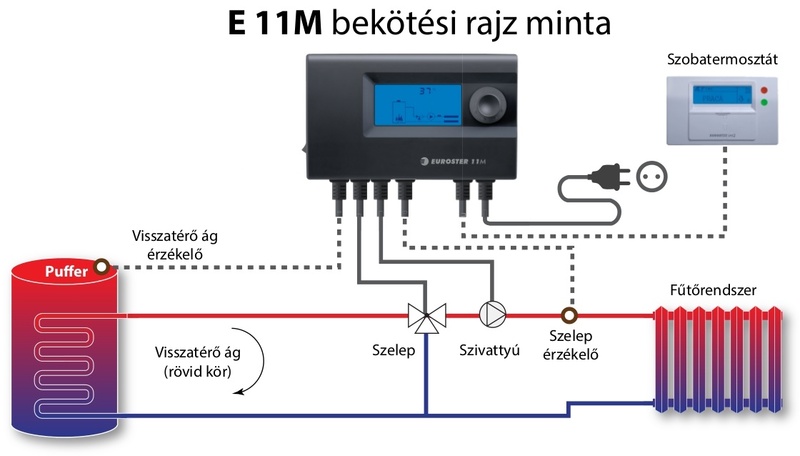 E 11M controller - Celsius a takarékos energia - fűtés rendszerek akár 5 év garanciával. LCD screen, 230 V, control of 3- and 4-way valve, anti-stop function, room thermostat function, boiler and system safety, overboil protection. Electronic, programmable controller designed for control of a three-way valve with actuator and CH circulation pump. It automatically maintains a constant temperature at a preset level or ensures a proper temperature of water in return piping in a CH system with coal-fired boiler. Possibility to connect a room thermostat. E11M controller is equipped with an AntiStop function which prevents seizure of the idle pump and valve rotor. 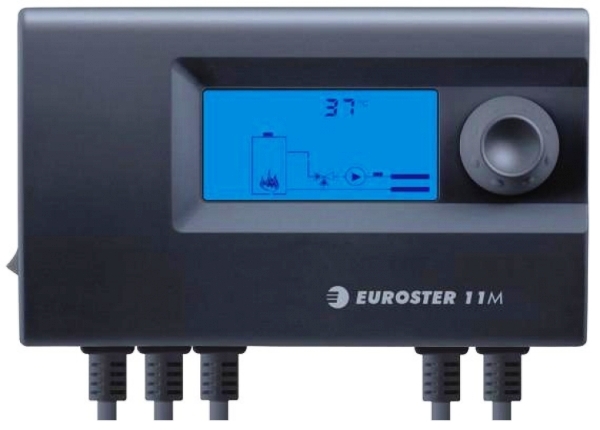 EUROSTER 11M operates in one of the two modes: heating medium temperature regulation (e.g. in floor heating) or return temperature stabilization. Operation mode is changed when restoring factory settings, provided for each of the modes.